Installed on a new build extension, Orangery, or inserted into an existing flat roof, an UltraSky roof light will help you add the feeling of space and natural light to your home. Whether it’s for a living room, dining room, kitchen, bedroom or bathroom the UltraSky roof light will be the perfect stylish solution for you. The UltraSky roof light is stunning, enhancing any style of property, traditional or modern alike. It reduces the need for a chunky roof ridge and maximises the amount of glass that allows light to flood into your room. Whether it’s for a living room, dining room, kitchen, bedroom or bathroom the UltraSky rooflight will be the perfect stylish solution for you. 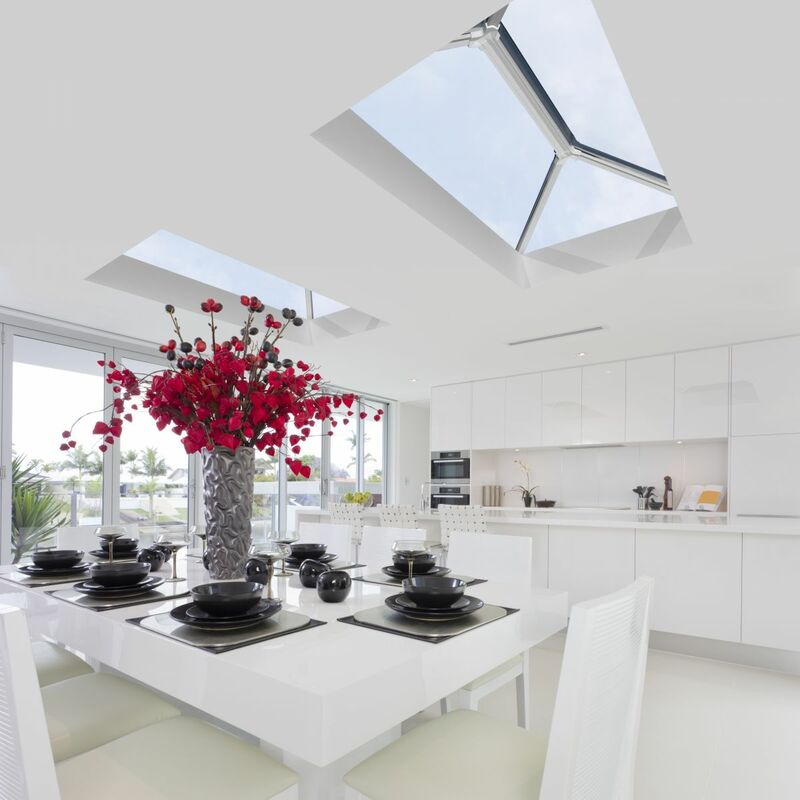 The UltraSky rooflight is stunning, enhancing any style of property, traditional or modern alike. It reduces the need for a chunky roof ridge and maximises the amount of glass that allows light to flood into your room.